OMG!! 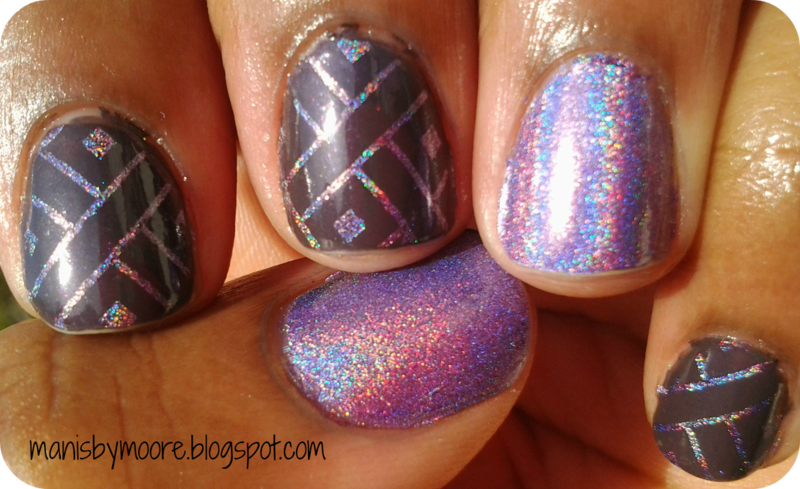 I fell in love again with holographic nail polish! I loved stamping with it the most!! I plan to do a tiger stripe mani and stamp with some holographic polish!! I am so late with the holo but am in love with it now!! So pretty! Do you like holographic nail polishes?? What is your favorite whether you own it or not?? Thanks for stopping by! Thank you!! I may have to re-wear this mani! I love it! !